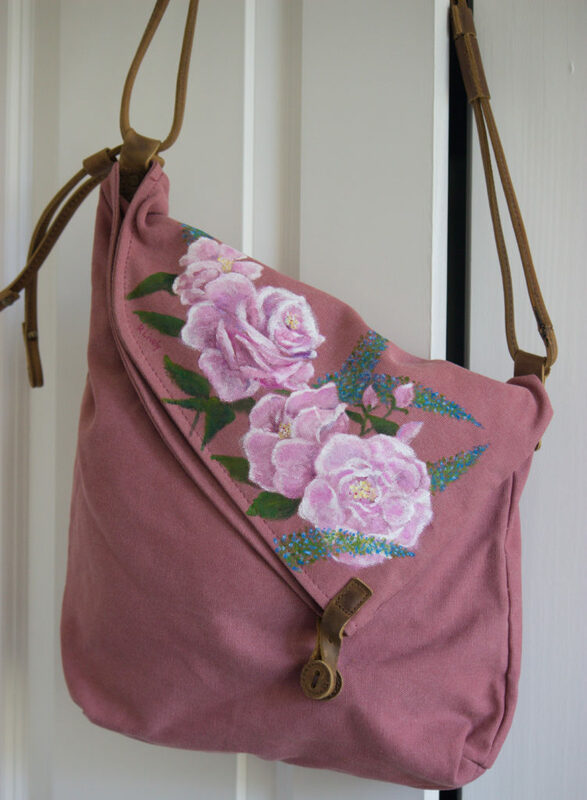 This 13.5″ boho asymmetrical bag is made of cotton, with a leather & canvas strap. It has a 2″ bottom, lrg outside zip pocket, 2 inside open pockets + 2 zippered pockets, top folds over to leather button. $85 + shipping. Has sold.